World Bank report, “India Development Update: Unlocking Women’s Potential” (May 2017), notes that an approximate 10 percentage points decline in female labour force participation rate (LFPR) between 2004-05 and 2011-12 has imposed “constraints on a country’s growth”, and is proving to be a “drag on GDP growth” to the tune of 2.6%. Pointing out that the “obstacle” means that India’s GDP per annum could “accelerate from 7.4% currently to over 9% the report, prepared by Frederico Gil Sander as the main author, says, “Considering that 42% of India’s science and technology graduates are women”, there is “a significant ‘brain drain’ for modern services sectors”. 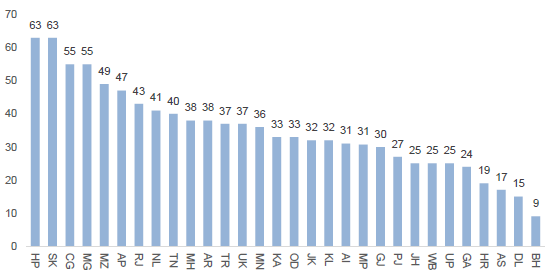 In sharp contrast, in some states, social security offered to women is quite low, leading to low LFPR. 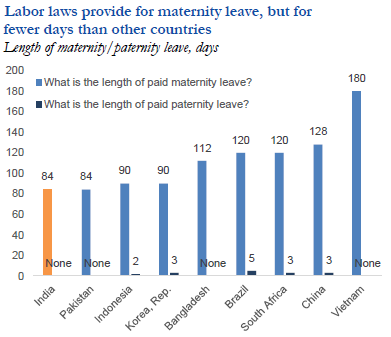 Thus, an enterprise survey undertaken by the World Bank in Madhya Pradesh revealed that “very few enterprises (40 of the 618 interviewed) offered maternity leave”, the report says. 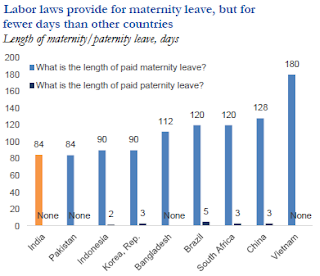 “Among those that did, only two in every five paid salaries during leave”, the report says, adding, “The provision for childcare was even lower – only 7 firms offered such facilities. Of the firms that provided either maternity leave or childcare facilities (46), the average share of female employees was 20.5%, slightly more than the share of those that did not (14.7%, 2016). “In general, employers perceived men to be more suited for jobs in the production/ technical/ operational domain (82% said so); and slightly lesser so for jobs involving procurement/ purchase (71 percent); business development, marketing, sales and HR (62%) and IT support (57%)”, says the report.